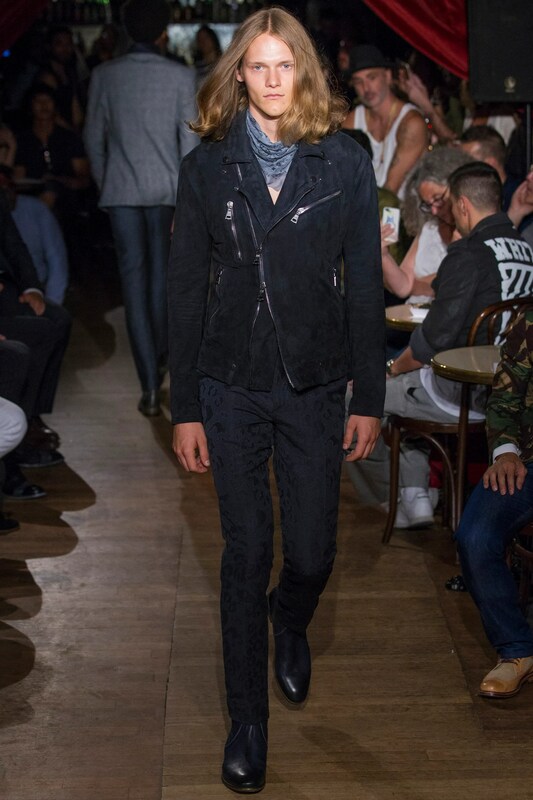 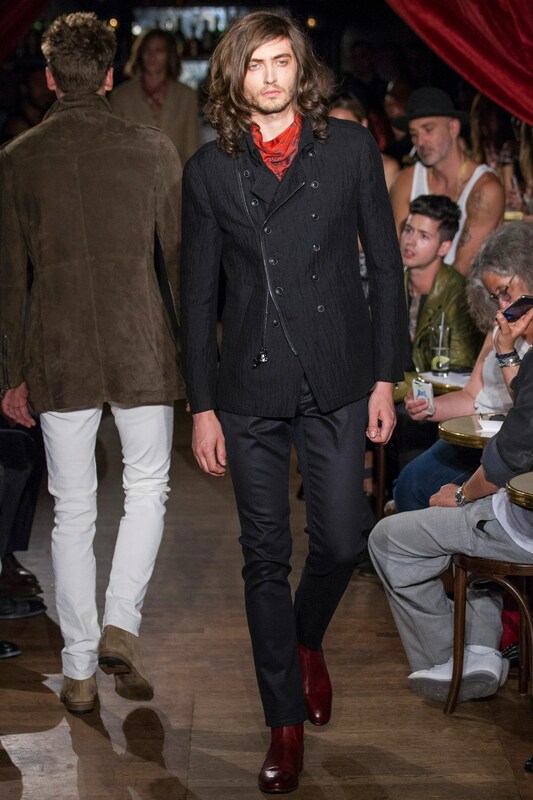 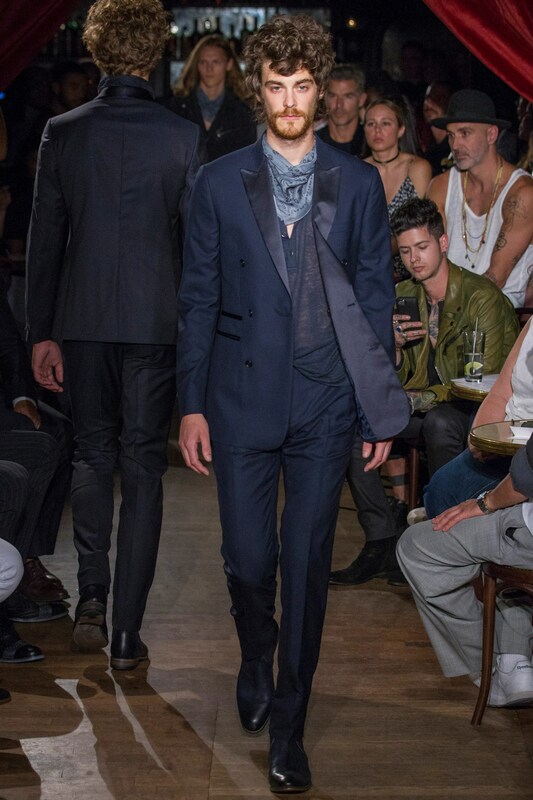 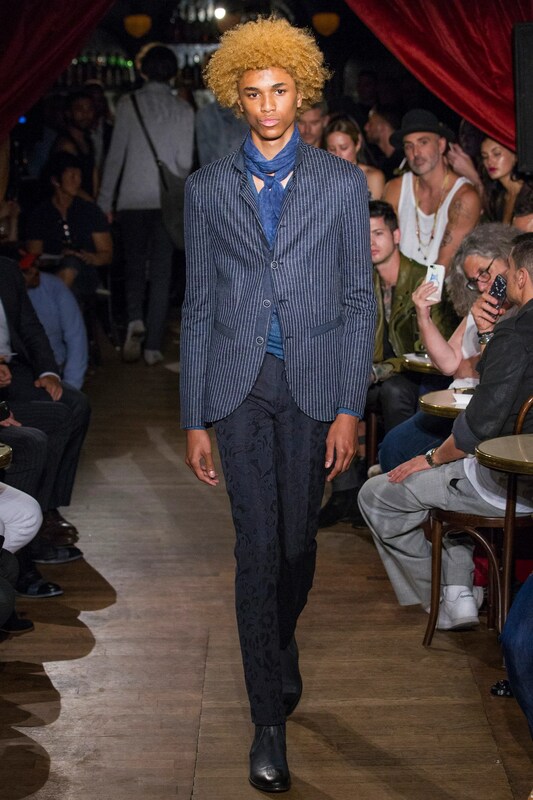 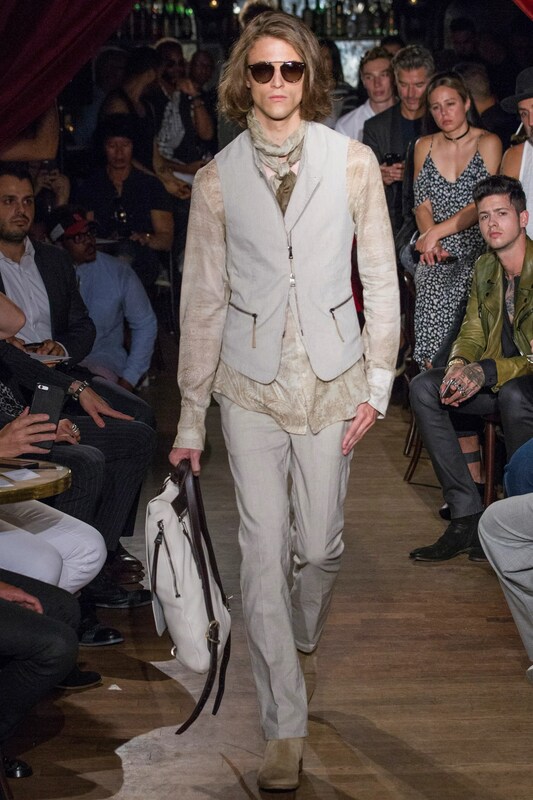 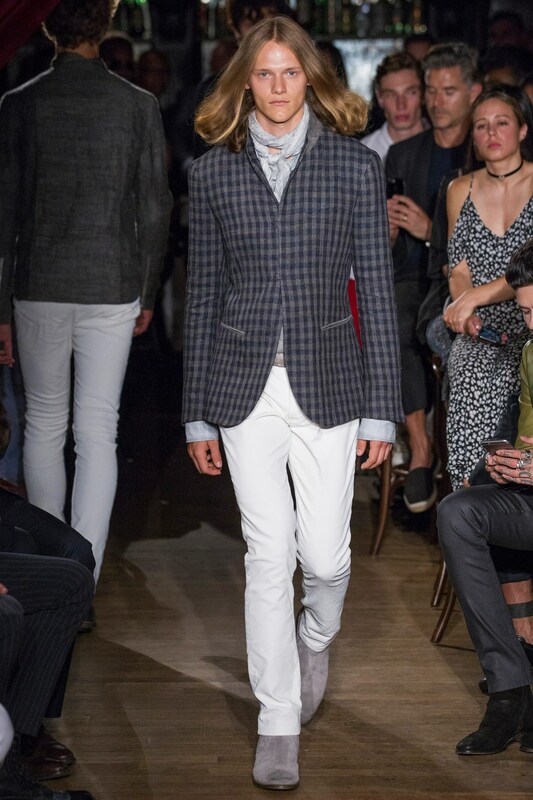 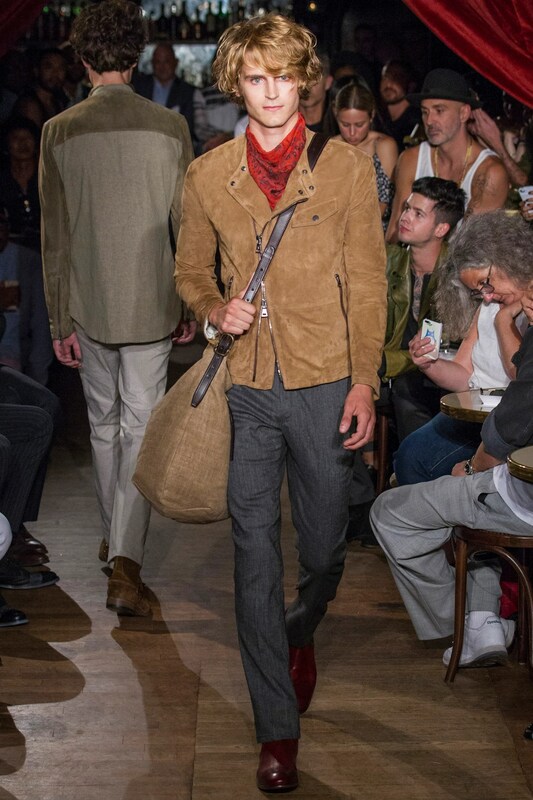 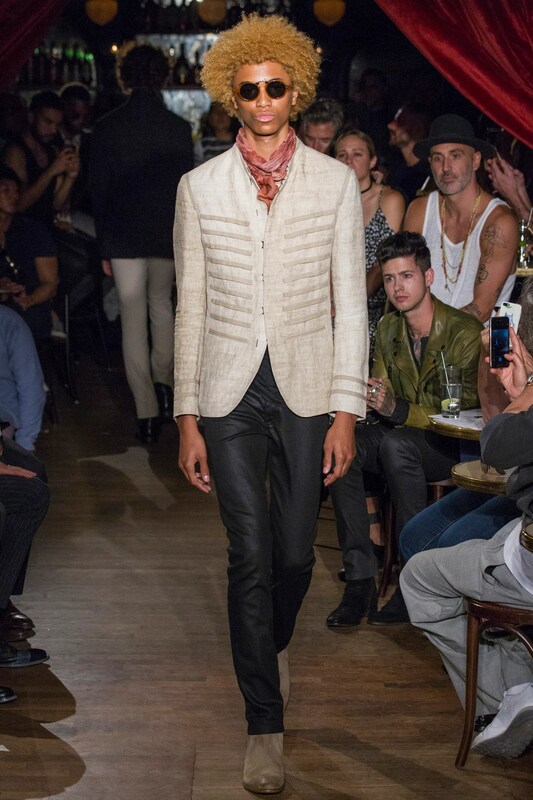 Leather met military inspirations and contrasting classic suiting and prints in the John Varvatos SS17 Spring/Summer 2017 menswear collection fashion show. 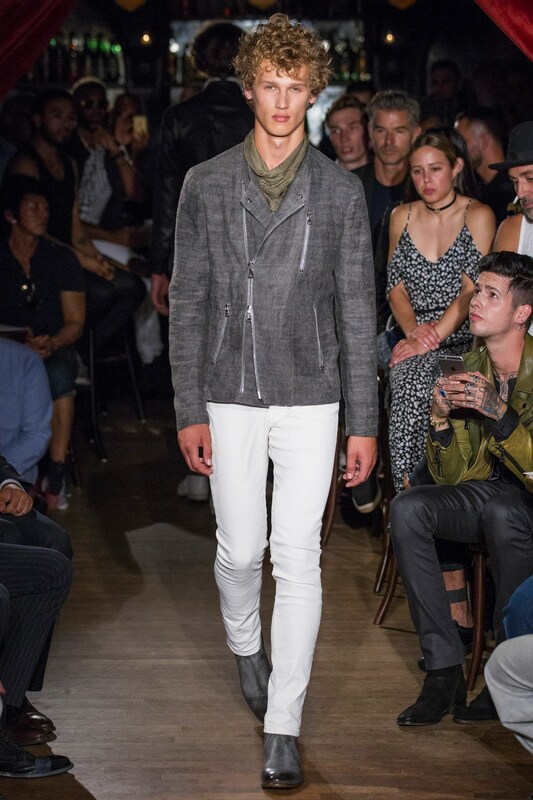 The color palette included white, cream, graphite, light gray, camel, navy and soft blue. 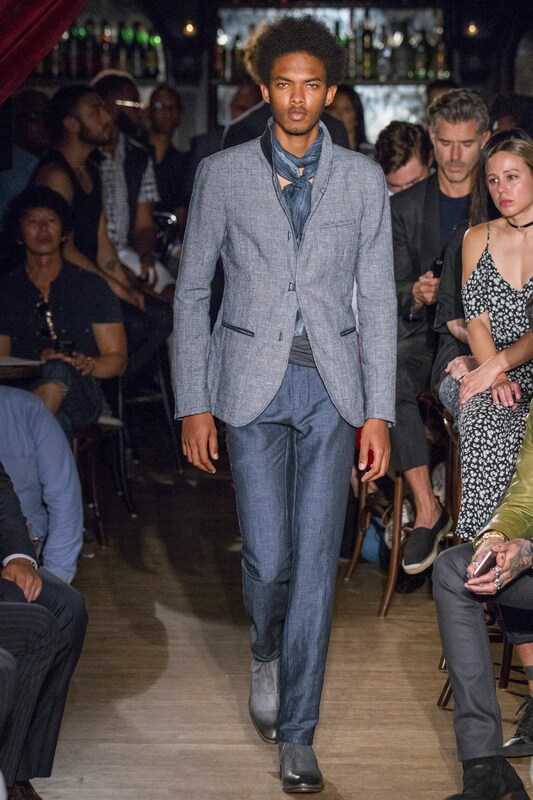 Print textiles, pinstripes, gingham, there’s something about classic menswear that looks so chic- the vest, the jacket, the pants- all tailored well and fitting perfectly just sets a well dressed man apart from the crowd. 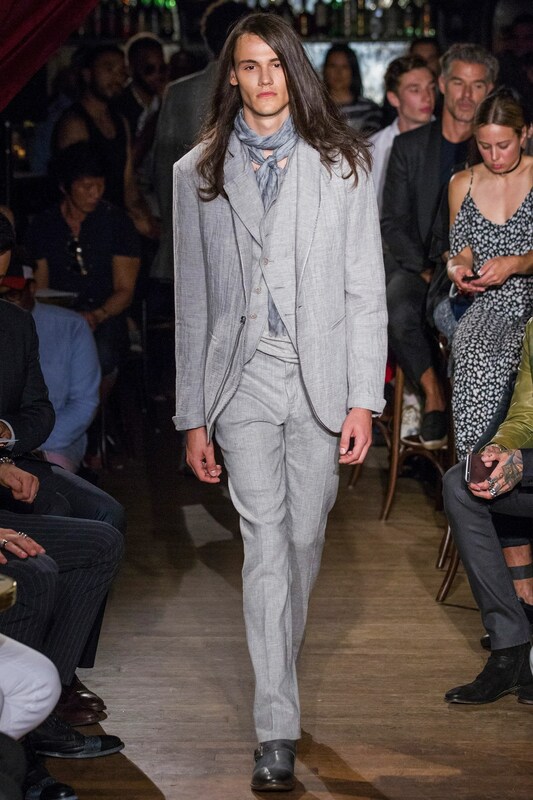 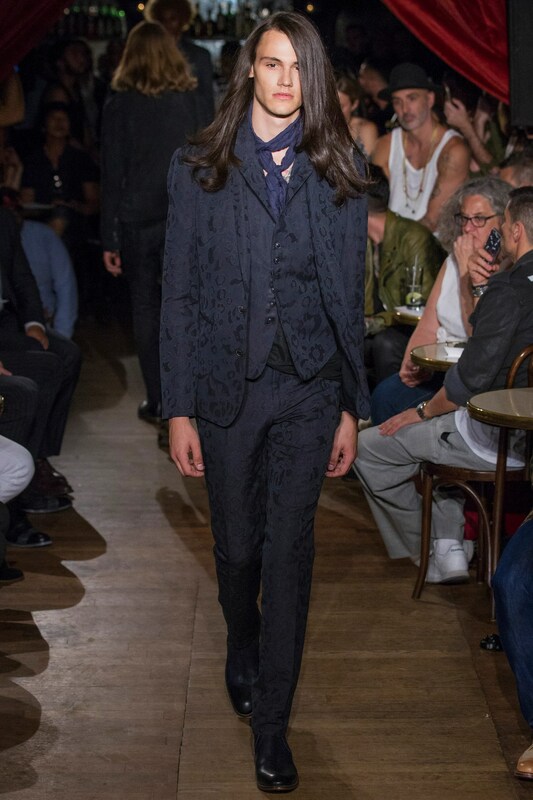 Shawl lapel suits, suede moto jackets, and what with peaked lapels doubled breasted and all- a nod to the leisure suit of the 70’s? 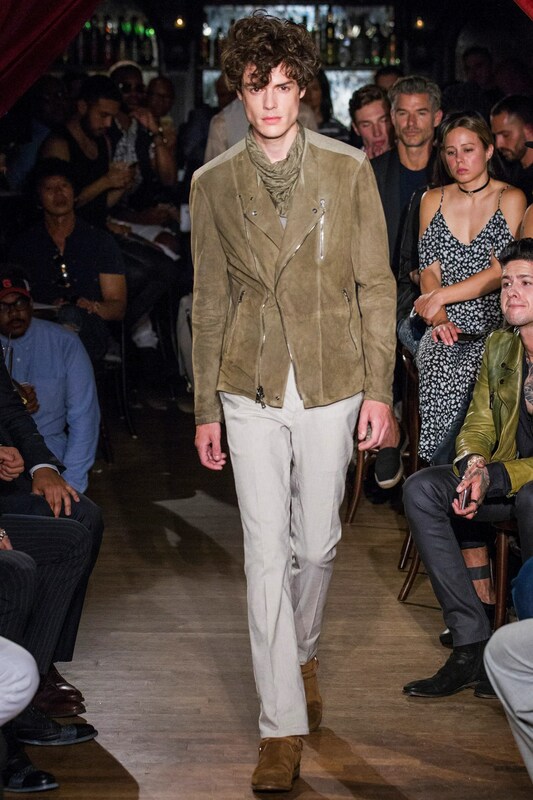 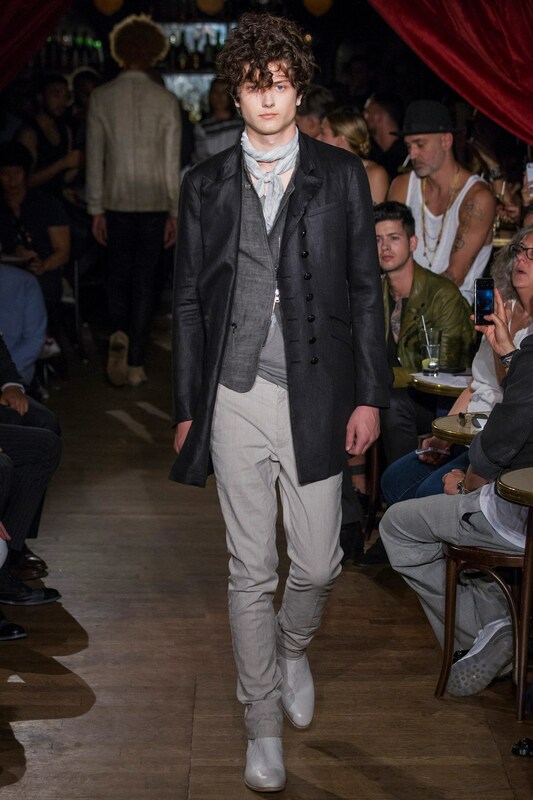 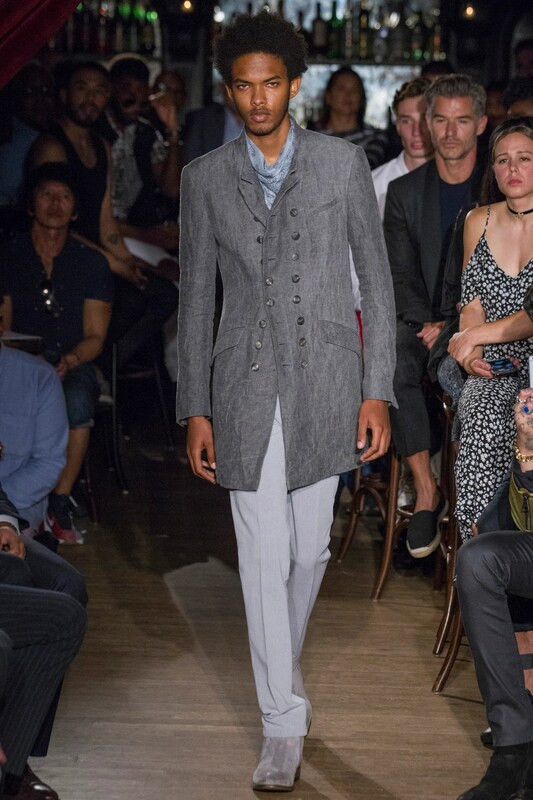 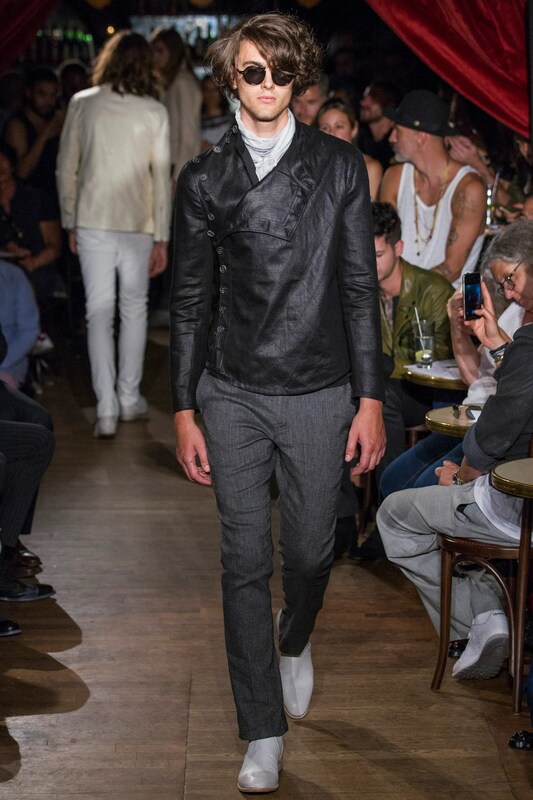 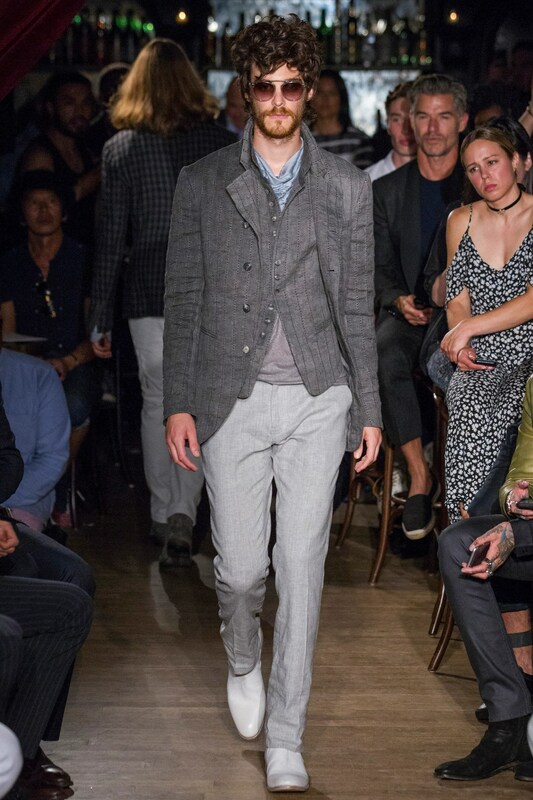 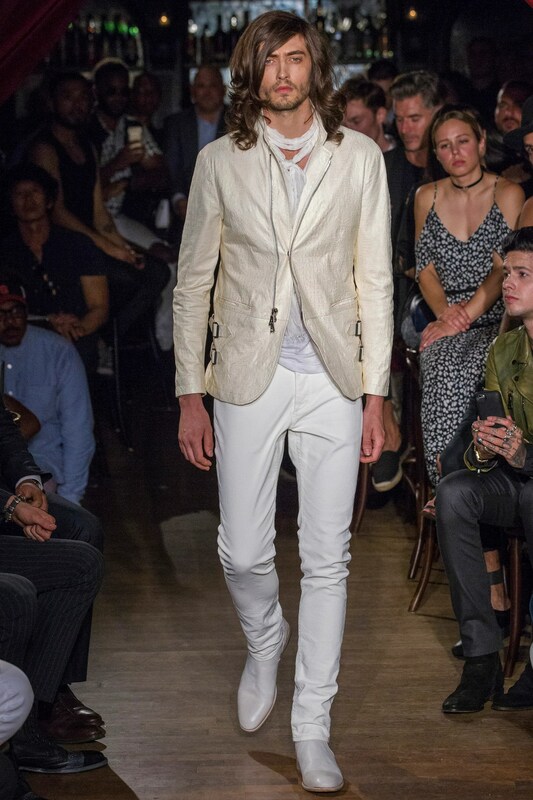 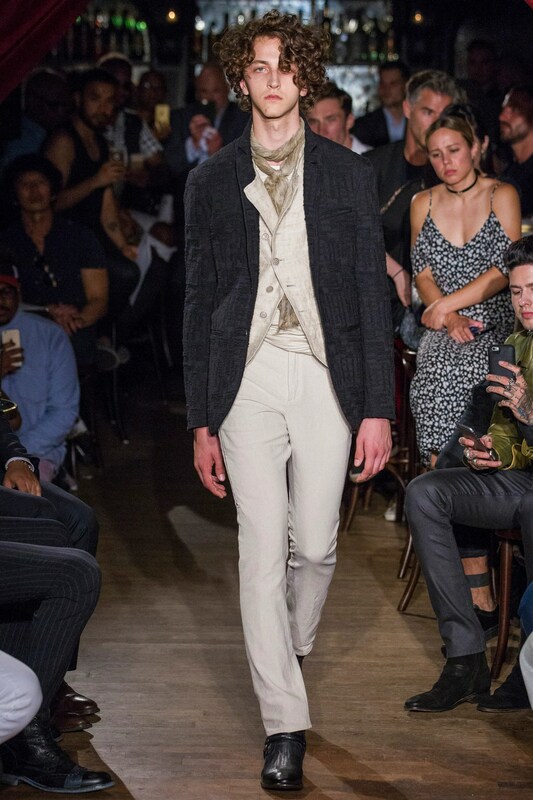 The John Varvatos Men’s SS17 NYFWM collection was, as always, stylishly classic and timeless with a touch of trendy edge.